Acacia Tucson Restaurant Reviews. Acacia Tucson is in the Catalina Foothills just north of the city. 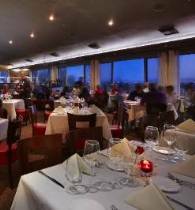 Acacia restaurant Tucson provides striking panoramic view of the city and award winning cuisine. Explore the fresh, natural and local area ingredients adoringly prepared. Enjoy a great meal in one of the more relaxed setting in Tucson. Acacia hours are from 11:00 AM to 9:00 PM daily. At Acacia Tucson the focus is on sustainability and value. Meal ingredients at Acacia use locally grown, sustainable and naturally produced. The first thing that strikes you is the view. But you will also be impressed by the menu. At Acacia Tucson the bill of fare is original, bold and refreshing. Appetizers are varied and excellent. For early diners a varied selection of appetizers and a glass or two of wine is a great choice. The mains dishes offer well balanced flavors with a hint of the Southwest. The Seafood is fresh and distinctively prepared. Yes, even in the desert. The Acacia staff are friendly and efficient. Prices are great and match the setting and food choices. Calamari – the unique spices make it an unexpectedly awesome dish. Cheese and Meat is outstanding with Goat Cheese with a Fig Spread and thin breads. Chilean Sea Bass is elegantly served atop a delicious squash or couscous medley. Duck provides succulent meat with a purple potato side. Whether you are a visitor or resident of Tucson, try Acacia Tucson in the Catalina Foothills. You won’t be disappointed. La Encantada is one of the upscale malls in Tucson. It is just east of the restaurant. Go shopping and have diner at Acacia. Enjoy the day! And if you are considering buying a home in Tucson, the Catalina Foothills OR other Tucson Neighborhood, we can help!